The Circle of Life. Life is itself lived in many cycles. Currently, we have just begun a new season, be it Summer, or Winter, depending upon the hemisphere in which you live. Whether you have realized it or not, one cycle has been completed, and the new one which has begun, will go a long way to transform your life over the coming months. I often view this card as reaching the Finish Line, only to be at the Starting Line for something else. And so it goes, the cycles go on and on; doors open and doors close. 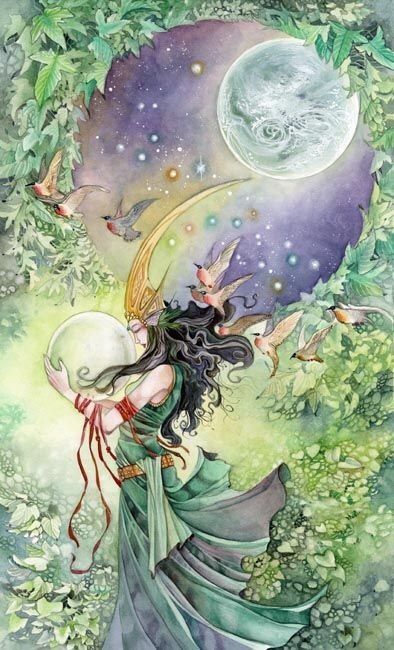 They say hindsight is 20/20, so you may not notice the massive change which this cycle will be bringing, until much of it has occurred, and you are not at all in the same place as you are at this moment. There is much success to be had now if you have put in your efforts, however, do not think that it is permissible to simply rest on your laurels. This is achievement which begets more achievement.